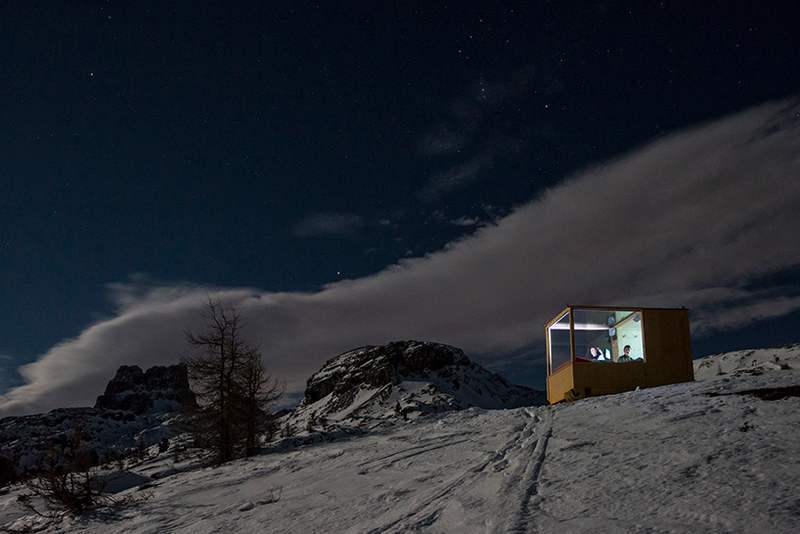 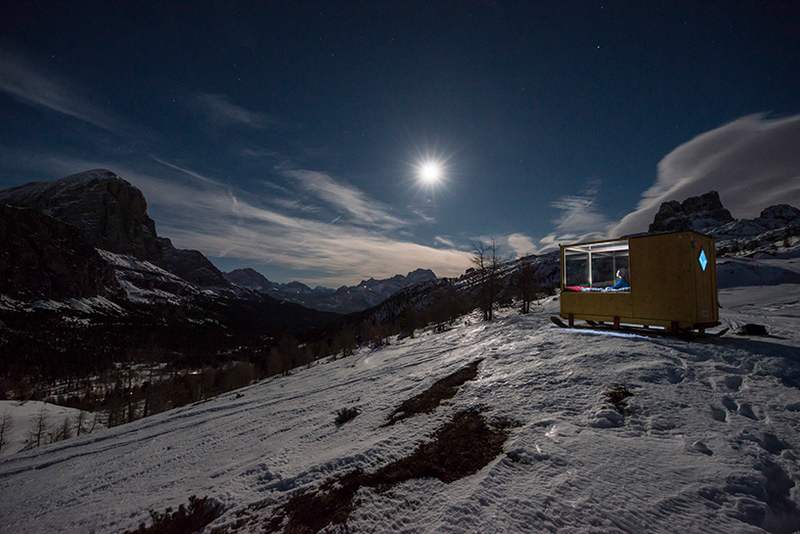 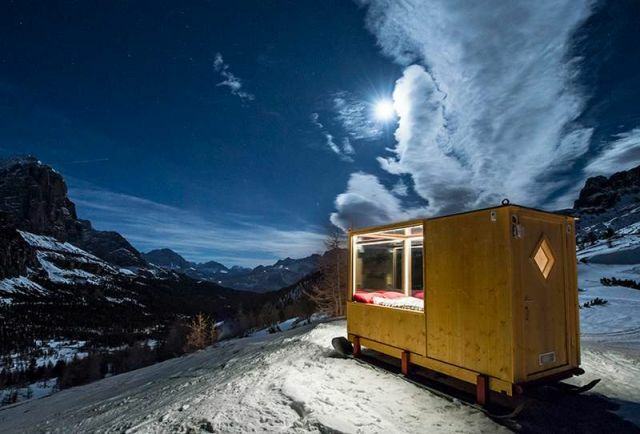 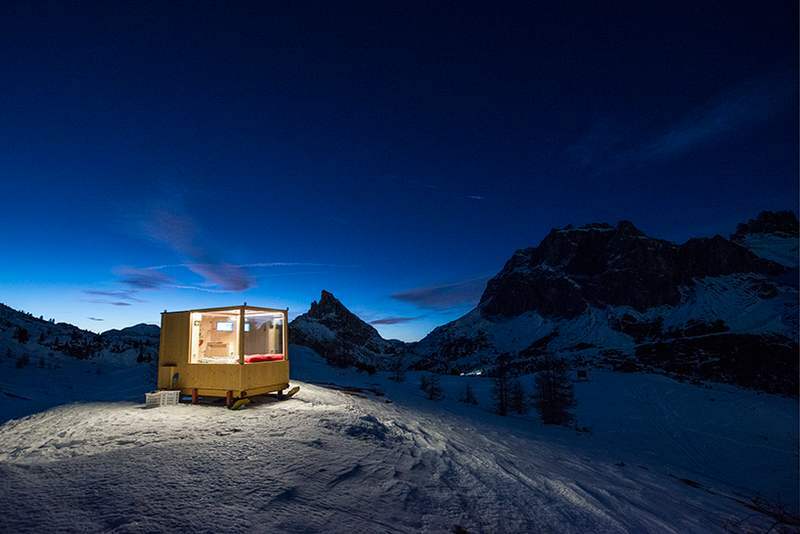 At an altitude of 2,055m in the majestic Dolomite mountains‘ landscape, a tiny bedroom was installed to offer a unique experience. 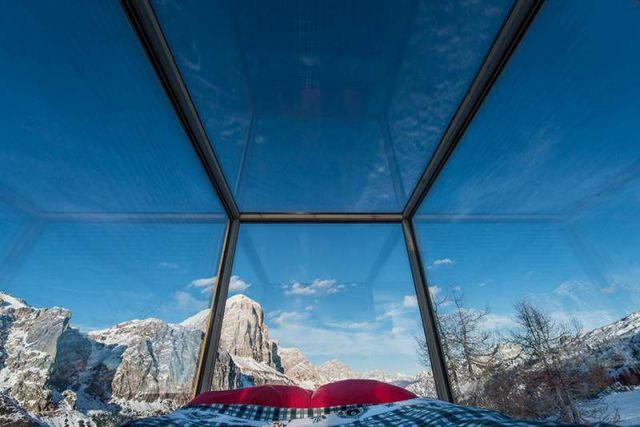 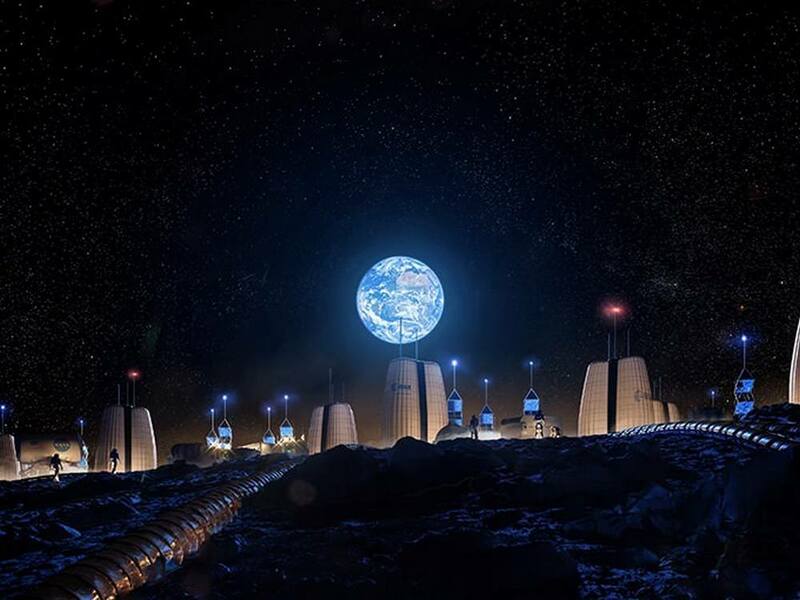 The ‘Starlight Room Dolomites‘ at the Northern Italian town of Cortina d’Ampezzo, was installed in this striking UNESCO World Heritage site. 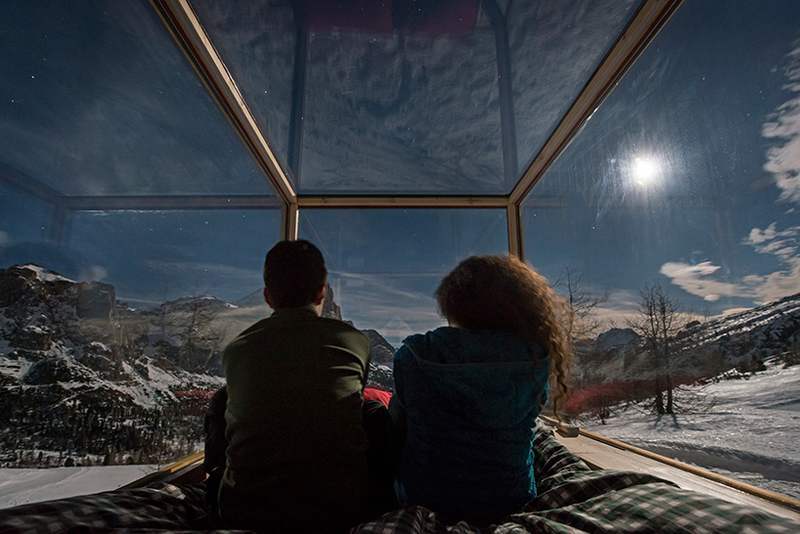 With only glass walls to separate your warm bed from the snow of the Pale Mountains you can admire the nocturnal spectacle of the Dolomite sky from front row seats. 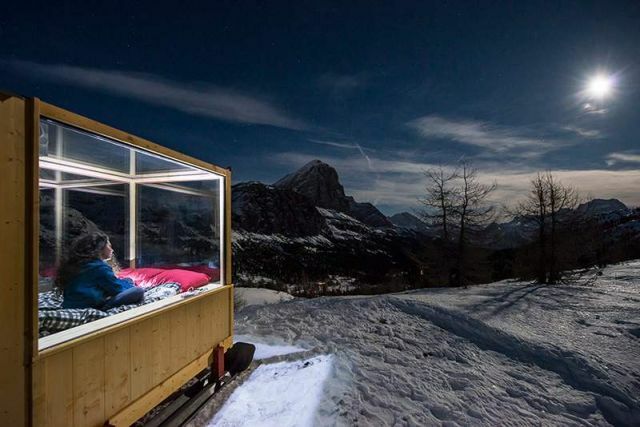 This latest sensory thrill in Cortina d’Ampezzo is the creation of Raniero Campigotto, manager of the Rifugio Col Gallina, who turned the Starlight Room Dolomites from dream to reality. 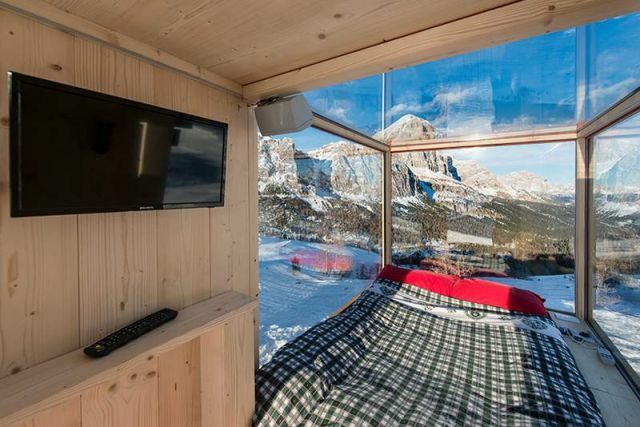 do the windows steam up?